I paint and draw at A3 size most of the time so this case is ideal. It is deep enough to contain around 30 sheets of card and has 6 loops for pens/pencils. It is sturdy and weather proof with two snap-click type fasteners with extra Velcro. 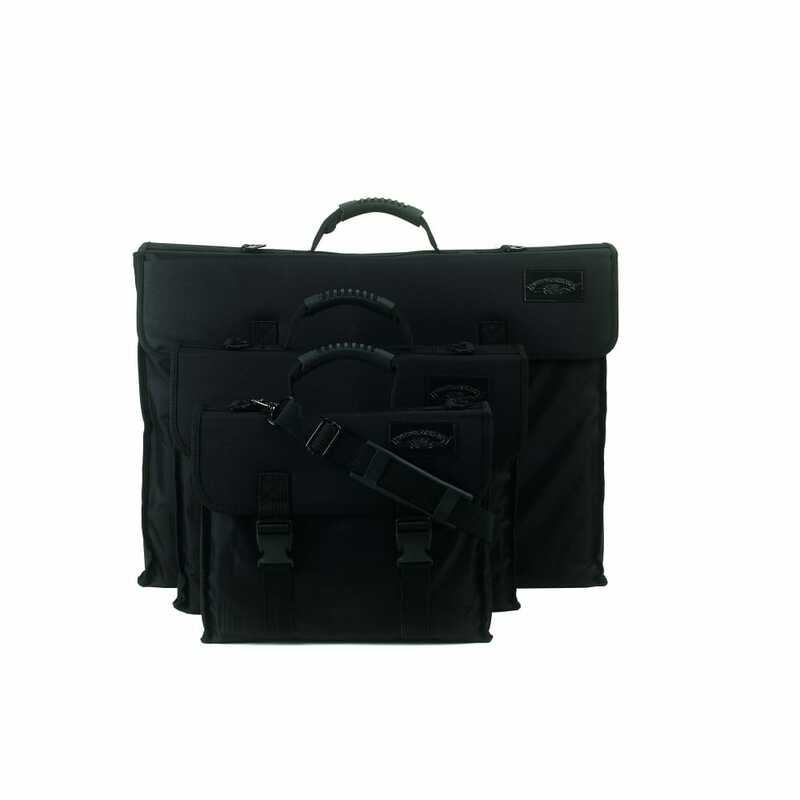 A comfortable carry handle and optional shoulder strap complement the case. It doesn't have any separate pockets or dividers so if you are wanting to carry around more than a few sheets and a handful of pens or brushes you may be a bit disappointed, unless you are willing to share the same space for everything without dividers.